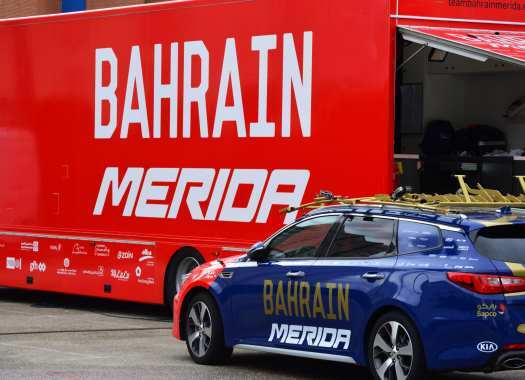 Bahrain Merida is set to open its European season at the Volta a la Comunitat Valenciana. The team will have Sonny Colbrelli for the sprint stage, Jan Tratnik for the ITT and Dylan Teuns will fight for GC. The Volta a la Comunitar Valenciana starts on the sixth of February with a 10.2-kilometre Individual Time Trial in Orihuela, with a finish that has 600 metres of climb at 9%. The second day is for the sprinters and then Colbrelli will take his chances with the help of his teammates. The Queen stage of the Spanish race will be on the fourth day and will feature three intermediate climbs and a finish to the Ermita de Santa Lucia, that includes a 3.4-kilometre climb at 9.7%. The last day will be another day for the fast men as the peloton does the Valencia city circuit. "Considering that the Volta is our first European race in 2019, we are really excited," said Bahrain Merida's sports director Vladimir Miholjevic. "It will be a multi-field test for our cyclists. "In the 1st stage's ITT we are counting on Jan Tratnik, who debuts in the team. Another young debutant is a Belgian Dylan Teuns as GC leader."